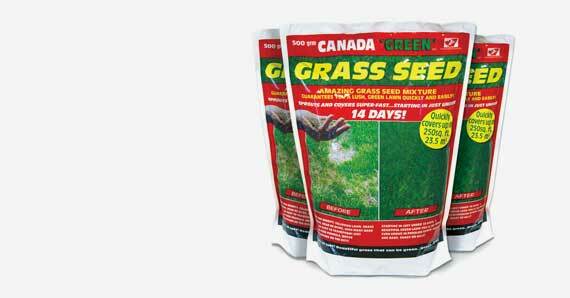 Canada “Green” Grass Seed is a hardy mixture of grass seed varieties blended to provide a beautiful lush green lawn. The fast growing lawn seed, starting in just under 14 days, grows in bare, shady, weedy or hiily areas and helps prevent erosion and bare patches. A proven mixture throughout the USA and Canada is now available in the UK. Canada “Green” has been developed to survive scorching heat, drought freezing cold and even under snow. 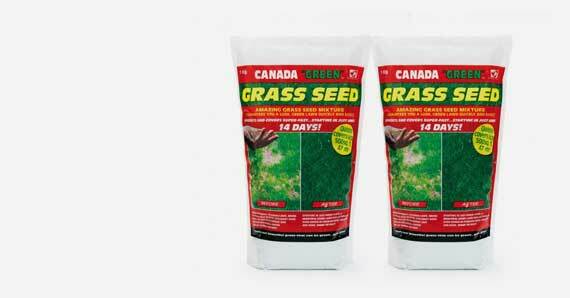 The organic seed mixture resists wear and tear from children, pets and heavy foot traffic. Buy today at the best prices in the UK.